This delightful string trio is straightforward technically, and will be fun to play for student and amateur alike. 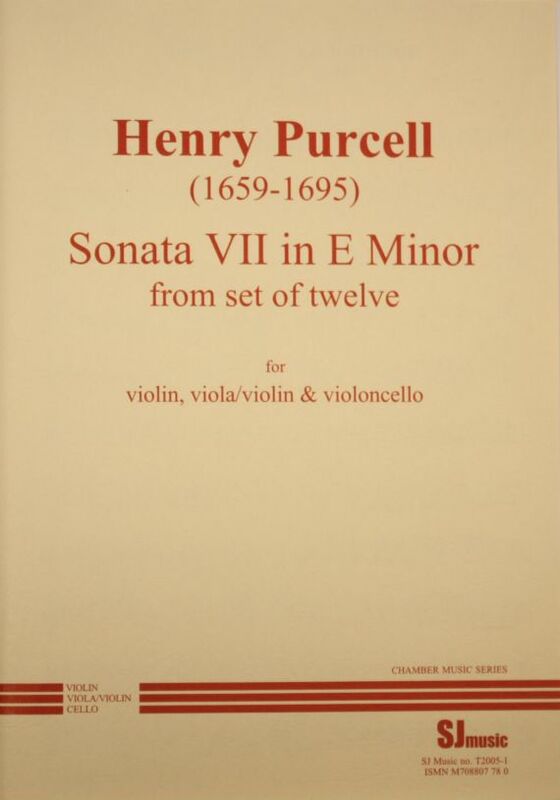 The “Sonatas of III Parts by Henry Purcell” were first published in 1683. A facsimile of the first edition was published in 1975. This arrangement follows the facsimile faithfully, simply writing out the first violin and cello parts of the trio sonata, with the second violin part transposed down an octave in places to suit the viola. This edition follows Purcell's original text without the dynamics and bowing that later editors added. Scholars generally agree that in Purcell's time players decided themselves how to make the music expressive by using bowing and dynamics according to their tastes.